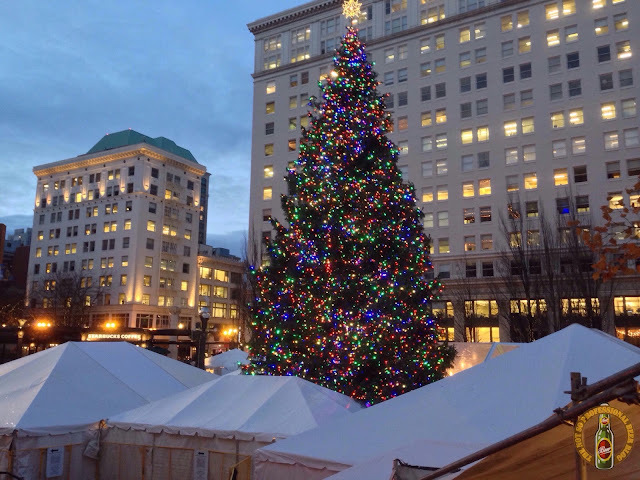 The 2015 Holiday Ale Festival opens in just 9 days. This yuletide beer showcase is chock full of one-of-a-kind (and usually high ABV) beers. I always like to review the detailed beer descriptions in advance and build my sampling list before I walk into the the tent. To assist you in this most worthy endeavor, here's a PDF file of 2015 Holiday Ale Fest program. Download it, read it, and dream your way into holiday ale bliss. Finally, I'm just going to leave this here... Her name is Cookie, and she's the 2015 vintage pin-up girl for Holiday Ale Fest. As luck would have it, she's pairing a cookie (of the gingerbread variety) and Belgian Imperial Stout made with organic Kopi Luwak coffee beans. I'm sure you, like Cookie, will have a great time and sweet dreams at HAF! Cheers and Happy Holidays! After a year-long absence, Big A IPA makes a triumphant return to Smuttynose Brewing's lineup. It's now available year-round in 4-packs of 12 oz. bottles and on draft. First, the alcohol content has been reduced. When I first tasted it back in 2011, it weighed in at 9.74% ABV and the alcohol heat was quite prominent. The new Big A is 8.2% ABV (according to the bottle code). In this case, less is more as the alcohol heat has disappeared. The hops have also been modified. The bittering and aroma hops are essentially the same, but the dry hops have been revamped. Citra, Saphir, Falconer's Flight, and Bravo have replaced CTZ, Nugget, and Glacier, as the dry hops of choice. Overall bitterness has increased to 85 IBU's (estimated) from 74 IBUs. When I compared the current incarnation of Big A to the one I tasted in 2011, I noticed a big difference in aroma and taste. Pine and grapefruit are now prominent, compared to tropical fruit in 2011. The flavor of caramel malt remains the same and continues to serve as a nice backdrop that balances the hop bitterness. In recent years, consumer tastes have shifted to lower alcohol (session) beers. 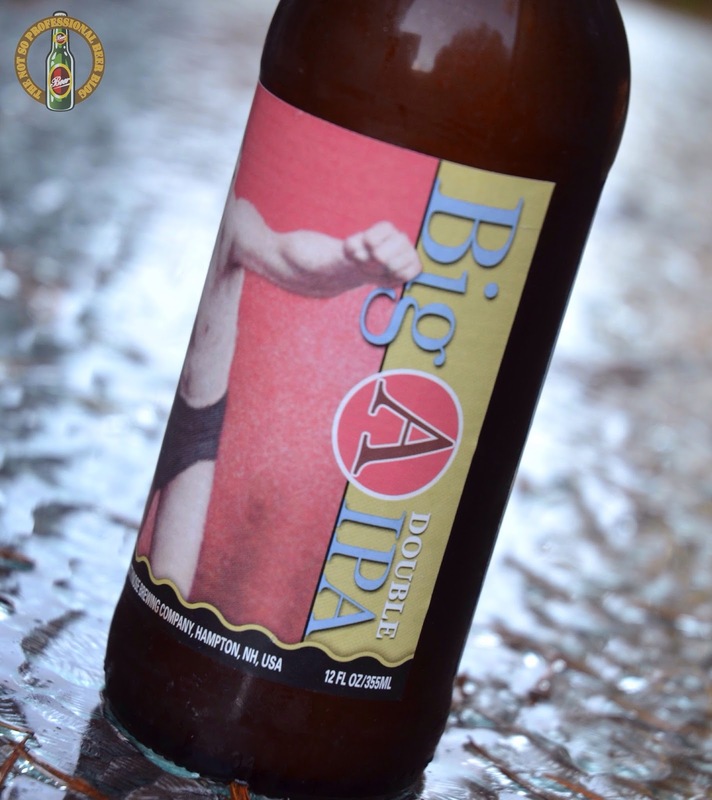 Big A IPA is no session beer, but the elimination of alcohol heat makes it far more drinkable than it was years past. If Smuttynose is available in your area, and you're a fan of double IPAs, give Big A IPA a shot. BridgePort recently launched CandyPeel IPA. If you take a quick glance at the label, you'll notice a different look from BridgePort's current beers. That's because they've launched an entirely new STUMPTOWN brand. BridgePort's new STUMPTOWN brand is a stark departure from current branding. Can you explain the reasoning behind the new brand? 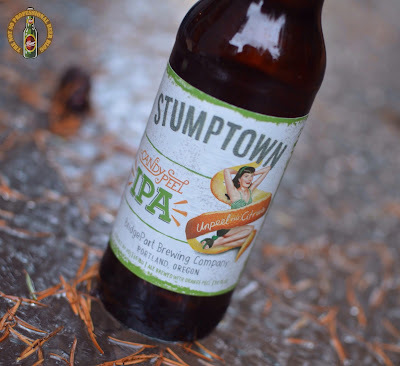 What type of beers will you release under the STUMPTOWN name? Will it exist with the current brand? Jeff Edgerton: STUMPTOWN definitely has a different look. The inspiration for STUMPTOWN came from our long-time Big Brew, STUMPTOWN Tart – under this brand we’ve been brewing limited edition Belgian-Style Ales for eight years and counting. All labels have featured Bernie Dexter – a popular fellow Portlander who specializes in the pin-up modeling style. Over the years, STUMPTOWN Tart has grown this cult following and because of that, we decided to unleash the potential of STUMPTOWN by introducing a whole new line with a brand new look that we believe will grab the attention of craft beer lovers. One of the first times we experimented with fruit-style beers was with STUMPTOWN Tart, and in the same sense, the new STUMPTOWN brews are all about going back to our roots at BridgePort of experimenting with new styles, being bold and creating exceptional craft beers. I noticed you didn't use the classic BridgePort 12oz bottle in CandyPeel IPA. What was the reason for this? Are you phasing out the use of your unique bottle? JE: We’re keeping the classic BridgePort bottle for our BridgePort brews, but since STUMPTOWN is unique, we decided to mix it up a bit. CandyPeel IPA is your new year-round IPA release. Is it replacing any of the hoppy beers in your current lineup? JE: STUMPTOWN CandyPeel most certainly is new and available year-round. This brew is an add-on to the current portfolio; there are no plans to replace any of our other beers that are still favorites of many BridgePort fans. Have your customer tastes changed in the last few years? If so, how? 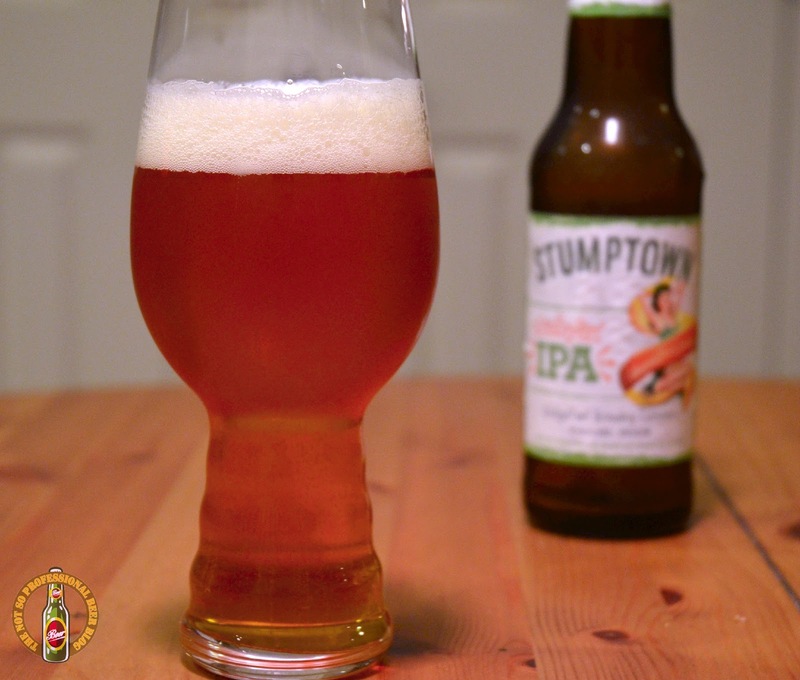 JE: Not necessarily, IPAs are still king but customers certainly have more choices. When BridgePort opened as Oregon’s oldest craft brewery there were less than 100 craft breweries in the country, now there are over 4,000. There’s a lot of noise out there in craft brewing, which is why it’s important to us to constantly review our brands and bring out new options to keep consumers engaged. Can you give us any clues to what you have in store for us in 2016? JE: All I can say is that we definitely have some things brewing – more to come and we’re excited to share. A big thanks to Jeff for taking the time to chat with me! I can't wait to see what he and his brewing team have in store for us in 2016. It's hard to believe, but 2015 is quickly racing towards its end. On the plus side, Holiday Ale Festival is coming up. In fact, it opens in just 22 days! HAF is your chance to taste from over 50 beers and ciders that were made exclusively for the event. 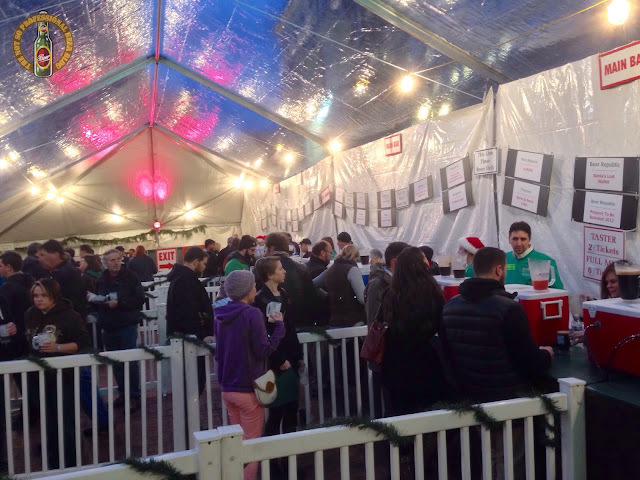 The limited releases and great vibe make this one of my favorite beer festivals of the year. To get an idea of what you can expect, here's my recap from last year's HAF. For more details including hours and pricing, check out the press release below.